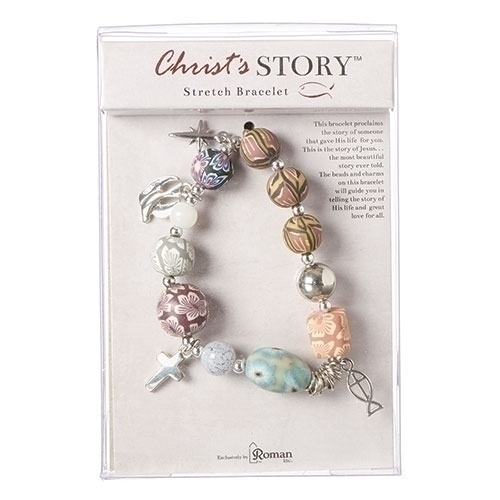 This lovely bracelet is made of claydough multi coloured beads and silver charms all relating the life of Christ. It measures 7.5" in length. Story card included. The story of Our Lord, Jesus Christ, is artistically illustrated with beads and charms from His birth to the Resurrection. A striking statement of faith, this bracelet is as beautiful as it is reverent.